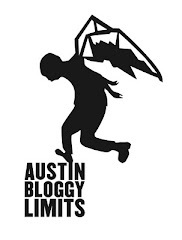 AustinBloggyLimits - An Austin Music Blog: Japandroids, Neon Indian + Randomness! Japandroids, Neon Indian + Randomness! How do y'all feel about Japandroids? I feel like they're one of those bands that I really want to like simply because their name is so clever but I'm not completely sold on them yet. Sure, it's jangly and it's a little Strokes-ish but I haven't found a hook that gets stuck in my head yet. Perhaps it will take a live viewing to fully appreciate Japandroids. I find it's often best to wait until you can see a band perform their material before making a final judgement call. For those of you who aren't digging on the Dirty Projectors catch 'em live and THEN listen to the record again. Sorry, that came out of nowhere. If you want to see Japandroids they'll be playing at Emo's Thursday night and the tickets'll set you back a cool $8. Free Mp3 courtesy of Polyvinyl Records, thanks. Oh, and since I referenced the Dirty Projectors above just wanted to remind you that they are coming back to Austin AGAIN later this month. So, if you missed them at SXSW, or at Red 7, or at ACL fest then you can still catch them at Antone's on the 26th. As of the writing of this post tickets are still available. In a completely unrelated note, local artist Alan Palomo's, Neon Indian LP, Psychic Chasms is finally out today. He'll be performing with/as his Neon Indian project as well as his Vega project at FunFunFunFest! I don't know about you but I'm definitely going to get my dance on at F3Fest this year. Free Mp3's courtesy of Lefse Records, thanks. It feels like this Neon Indian jam has been out for awhile now but maybe you haven't heard it yet? I don't know. I don't know about you, but I've been itching to hear the Psychic Chasms LP. See you at End of an Ear?